And so begins my first blog post. While I’m not quite sure what the exact ‘blog strategy’ will be, I plan to just write and listen… and hopefully be able to enlighten and entertain simultaneously. This photo is of me (and my twin brother to my left) having a meal with World Cup soccer players from Brazil in 1994. The guy to my right is “Dunga” and he was the team captain during the 1994 World Cup, and then went on to coach the Brazilian National Team from 2006- 2010. In fact, he and ”Branco,” the guy at the very left of the photo were 2 of the 3 players who scored the penalty shots in overtime to win the World Cup Championship game against Italy in 2004. The 3rd player was Romario but he didn’t make it out to this meal. My point in telling you this story is that I grew up around these type of personalities. And the most important lesson I learned is that they’re all ‘people like us,’ and yes, while they’re celebrities, they just want to be treated like human beings. I used to make a huge deal about them and my dad would say, “just be their friends and act normal around them.” And then he’d tell my older brother, “Hey, Pele is arriving at the airport in 2 hours. 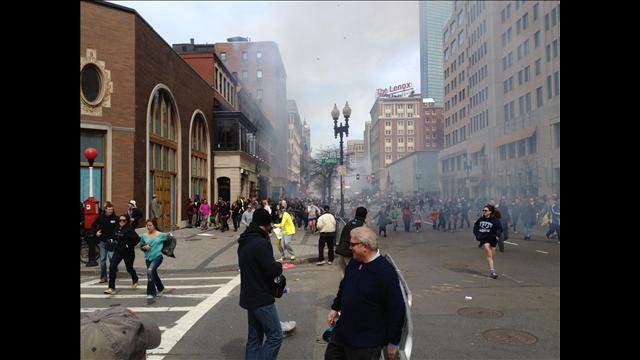 Go pick him up please,” as if it were just another buddy flying in from another continent. My time with the Brazilians and other soccer teams was a great one. I took them shopping, I brought their gear to their rooms and for one player (“Branco”), even helped him pick out a ring for his soon-to-be fiancé. I remember thinking, “Geez! I want a ring like that someday.” I learned a lot from interacting with the team and working with the Federation. During one of our car trips to the stadium, I asked “Dunga” what his nickname meant and he told me it meant, “Dopey,” like in the seven dwarfs. For real, check out this Vanity Fair piece: http://ow.ly/4dd5c Case and point, he was a rockstar in my eyes, but spent an hour telling me about some of his childhood stories and his nickname…a conversation I will never forget. He was just like any other kid growing up ~ just happened to be good with a ball. friends and even clients to have lunch, go for a run or even something random like go-carts, skydiving or an adventure race. You will learn a lot about that person and soon enough, uncover some very special relationships for life. 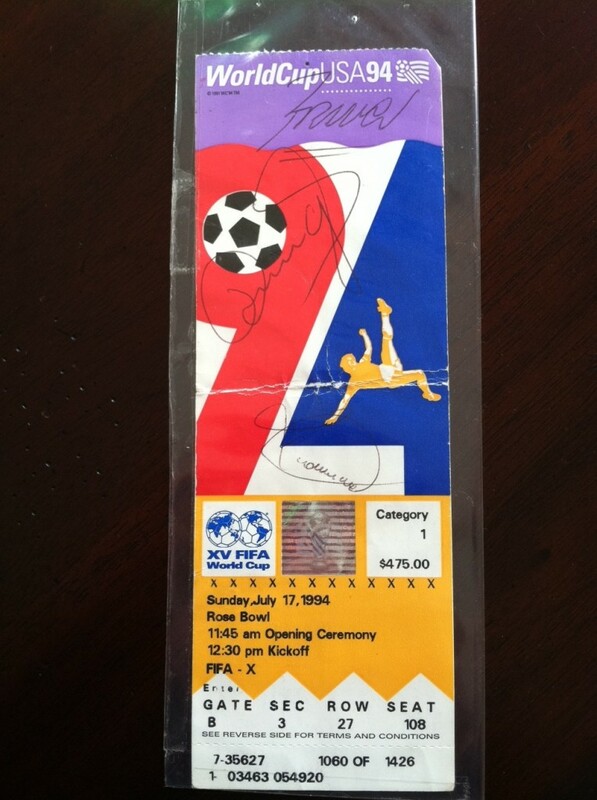 Just for fun…here is my World Cup ticket from 1994 autographed by the three players (Branco, Dunga, Romario) that scored the penalty kicks for the win. While the ticket is sweet and I’m sure has some value, the experiences and memories are much sweeter.